Happy Friday! It really feels like this week dragged!!! Do you have anything fun planned? My cousin and her beautiful baby (our godson) has surprised us and will be arriving for a visit on Sunday. So excited! I have only ever done galaxy nails once before and that was last year for the M.T.V challenge. I didn’t love it very much at the time but it was ok. 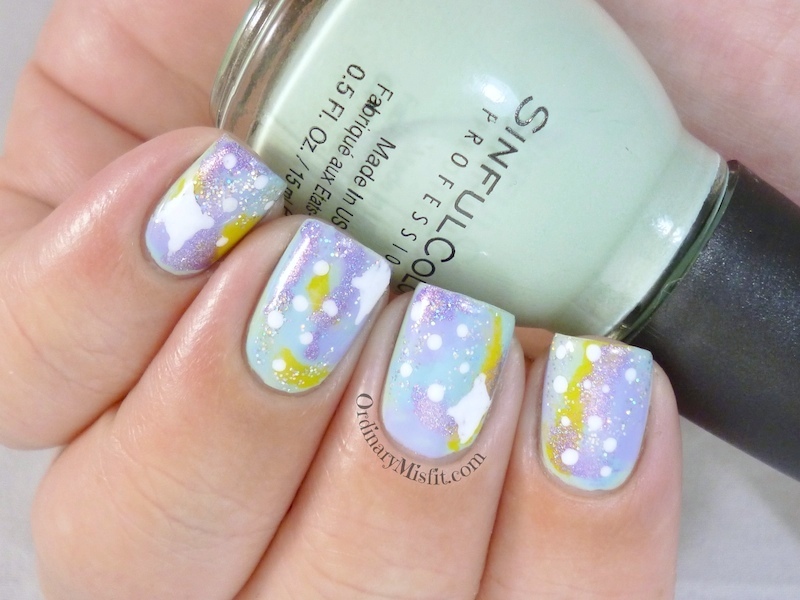 I wanted to try a pastel galaxy that The Nailasaurus has done numerous times, so beautifully. I was nervous though…. here is how I fared. Alrighty, there are a lot of polishes in here 😛 I started with 2 coats of Sinful Colors – Lagon. Once that was completely dry I took small bits of sponge with a tweezer and started adding the other colours. I used a different piece of sponge for every colour. 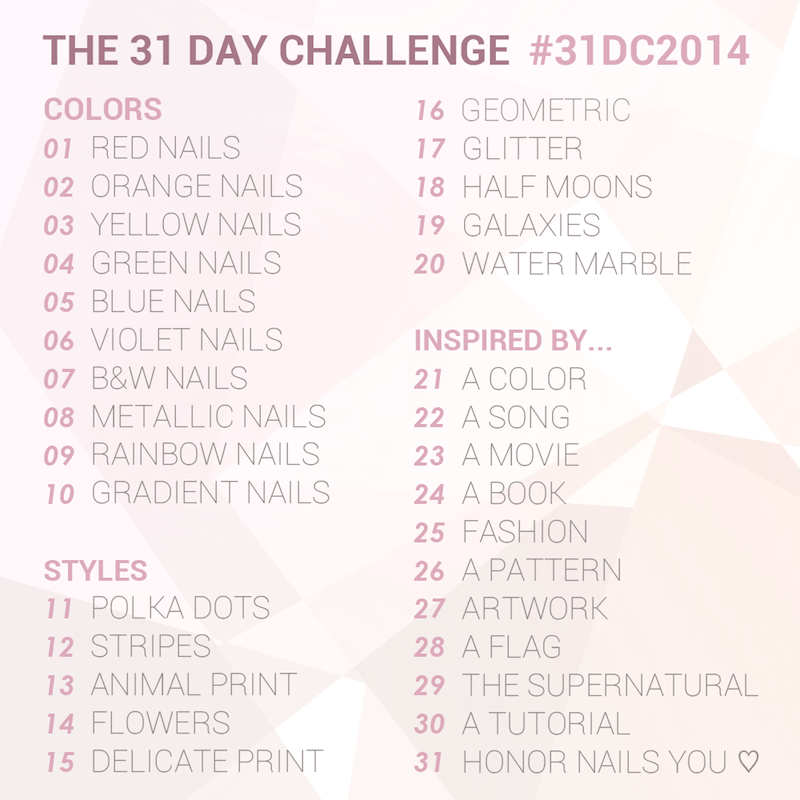 I started with Sinful Colors – Sugar rush and then added Sinful Colors – Pull over. Next was Sinful Colors – Candy Coated. I then wanted to add some shimmery / glittery bits so I added some Color Club – Eternal beauty. Finally I went in with Tip Top – Galaxy glitter with the brush and then just added a little bit here and there. Once that was all completely dry again I used a thin nail art brush to make the bigger ‘stars’ and a dotting tool to make the smaller dots. Excuse the poor misformed big stars, you should know by now how well I work with a brush :/ I top coated and done. I also did a matte version but I am not sure if it made much a difference. What do you think? This polish…. *sigh* It’s SO beautiful. It’s one of my favourites. This is 2 coats with no topcoat. For such a light colour the opacity was great and the formula is really great too. I do believe this was not released everywhere and may have been a European shade. I have also not been able to find it since I bought it the first time. This is 2 coats with no topcoat. Another beautiful shade. Really great formula and opacity. I had no issues with streaks or sheerness. So what do you think? Did I ace the galaxy? LOVE the mani and that TT polish, WOW!! Love Lagon (Lagoon?). Like the different take on the galaxy, too.